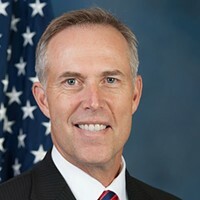 North Coast Congressman Jared Huffman, who has steadily upped the fuego in his social media game since last year's election, seemed to have some fun this morning after news broke that former National Security Advisor Michael Flynn has reached a plea agreement and pledged to aid Special Counsel Robert Mueller's ongoing Russia probe. "Let me be the first to congratulate President Pence," Huffman tweeted. The third-term Democrat's impeachment-prediction tweet, which came after ABC News' Brian Ross reported that Flynn is prepared to testify that then President-elect Donald Trump personally directed him during the transition to make contact with Russians, turned some heads and was quickly reported on by thehill.com. But Huffman wasn't done and followed up with another quip: "At this rate, Rex Tillerson may be President before Trump can humiliate him into quitting as Secretary of State." And on Facebook a couple hours earlier, the Huff dropped some Yiddish fire (that's פייַער, for those keeping score at home) to express the extent of his frustration with the current administration. As we've reported before, Huffman's social media accounts seem to have cut loose in the wake of Trump's election, perhaps following the lead of a certain commander in chief.